Dubai Hostel is the hub city hostel situated in Dubai Emirate where the world's tallest building can be seen, the Burj Khalifa. 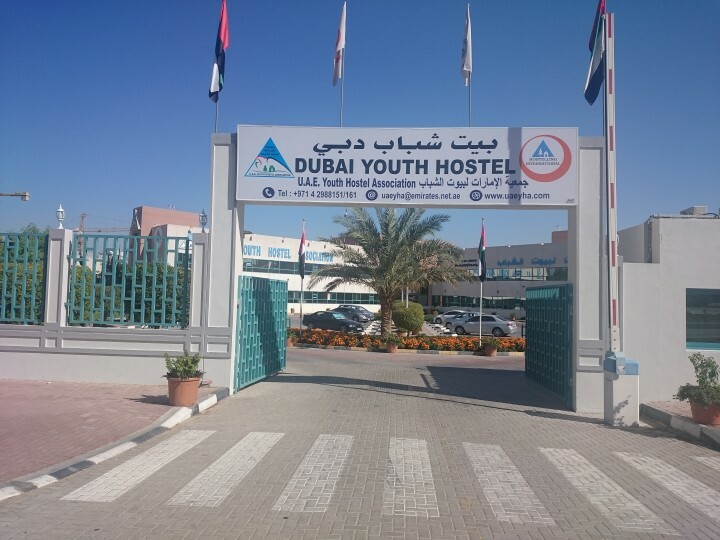 Dubai A is one of three hostels in Dubai, which are within the same vicinity but are treated as separate buildings. 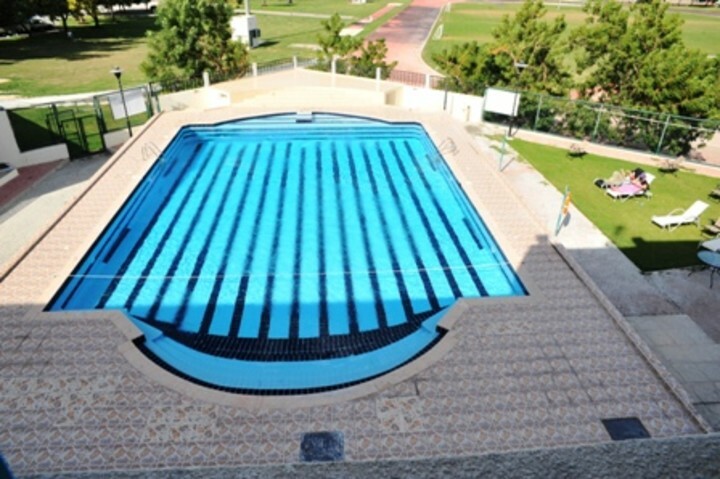 The hostels are located 10 minutes by taxi from Dubai International airport and have free car parking onsite. Dubai A has excellent facilities including cafe/bar where meals are available, TV and common rooms plus internet access. This hostel in Dubai welcomes all travellers and has family room available. In the summer the water is very warm, about 40 degrees, for all to enjoy! The hostel/hotel did not have the usual busy atmosphere of backpacking youngsters. Even though there was no kitchen facilities there were very reasonably eating facilities nearby. There was no leaflets to inform you of local or nearby attractions; nor how you could get around. Only by chance did I find out about the trips available. No English books to read, nothing for children. The free breakfast was rather sparse for westerners, cornflakes, 2xjuices, eggs of some kind, rather dry rolls & only white bread for toast. The rest was what Arabic people must eat, what we would have for dinner. No fruit. Generally no atmosphere or chance to meet other travellers. Der Gesameindruck war gut. Die Außenanlage war gepflegt. in Zimmern kleinere Mängel, aber laufende Renovierung zu sehen Klimaanlage (etwas laut) und Kühlschrank waren vorhanden, was possitiv war, der Getränkeverkauf war super und preiswert, eder 24 Std.-Dienst an der Rezeption war super. Schön wäre es noch wenn kostenlose Stadtpläne, Metropläne, und Hinweise darauf in der Herbergerge ausliegen würden. Gute Verbindung zum internationalen Flugplatz, zur Metro, zum Taxistand, zum Supermarkt. This is a great hostel, which is run more like a hotel. After you check in, a bell hop carries your bags to your room. my sheets were changed almost daily, and I was provided w/a fresh towel. They serve a fabulous free breakfast every morning, complete with a variety of breads, cheeses, juices, hot and cold milk, tea and coffee, homemade porridge, eggs, a beef dish, and a vegetable dish, all in a buffet setting. They are quick to make any needed repairs. This is one of the best hostels ever!